Yes, it is a good skin care product that is often used. I have used these on and off for years, but the formula seems to have changed. It now’s seems to sit on my face making it feel very heavy and very greasy, I have no idea what changed but it’s no longer a product that works for me. The new formula is awful. Sat on the skin like a mask. There are a lot of dimethicones in the ingredients so watch out. If you want a product with ceramides I think Paula’s Choice Calm Relief serum is better. I have been using this moisturiser for 2-3 weeks and I can already see a massive difference! Wish I knew about this product when I was younger. Would recommend to anyone. 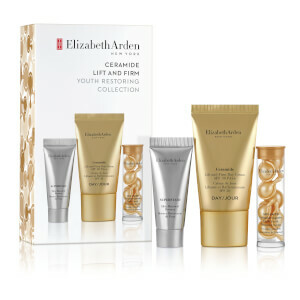 I've been using Elizabeth Arden Capsules for years during springtime: the only way to remove "winter" from my face ... I would have never expected the new formula could have been better! so silky, so comfortable! and my skin is perfectly quenched and more luminous!